THE VCSSA encourages its members to participate in events which test driving skills. Events, while competitive in nature, are not necessarily a test of speed. Driving accuracy, consistency, and knowledge of the vehicle are also tested. The Gymkhana Driving Tests are arranged in conjunction with the Alvis Car Club and comprise a fun series of events to test driving accuracy and knowledge of the vehicle, and are usually run at a very slow speed, they are not speed events. They are combined with a picnic and also give others a chance to drive cars in a secure area. The Club organises an annual sprint meeting at Cootamundra Airport. The runway allows two cars to run safely to achieve an elapsed time over 400m. Entrants can choose full speed timing or Regularity, the latter allowing cars to accelerate at any comfortable speed and once a time is selected then the object is to match that time as closely as possible in subsequent runs. Regularity Trials are usually run as part of race meetings and comprise tests of driving consistency. Drivers are timed over several laps of a race circuit and must maintain their nominated time, losing points for differing times, they are not speed events. At the time of its construction, Rob Roy was one of only three bitumen surfaced purpose built hill climbs in the world. 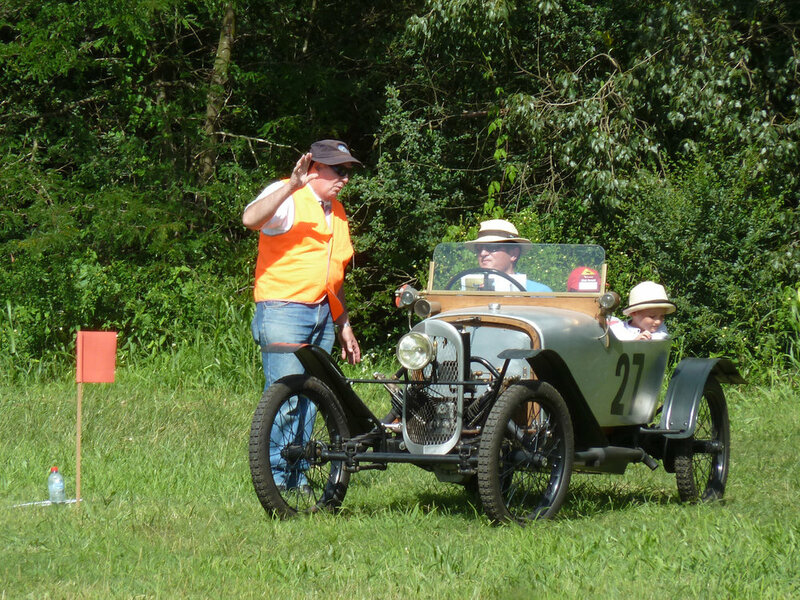 This is an annual race meeting of long standing for historic cars and motorcycles, organised by the Austin 7 Club of Victoria. The VSCCA usually has a strong entry. Click here to learn more about Historic Winton. GEAR (Golden Era Auto Racing) organises drive days, which are a series of regularity trials, at Wakefield Park every 2 months. Historic Sports and Racing Car Association organises race meetings, including regularity trials at Eastern Creek and Wakefield Park. Click the button below to visit our curated collection of historic racing links.